Aspen, a handsome BIG boy, quietly began his final journey to the Bridge. He died at home, curled up in his sleep. Actually “quiet” was never Aspen’s style. 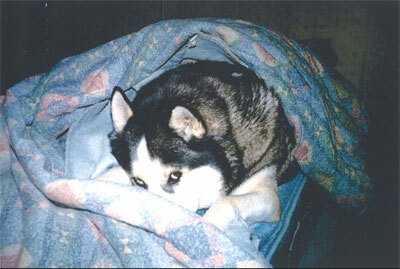 He came in about ten years ago ~ a larger than life husky youngster. It took a special home and a special adopter and Aspen turned into an exceptional dog. On behalf of Jim R.